The 9th Spring Film festival is organized by the Ateneo de Manila University’s Ricardo Leong Center for Chinese Studies together with the Cultural Division of the Embassy of the People’s Republic of China, the Confucius Institute at the Ateneo de Manila University, and the Film Development Council of the Philippines, with the cooperation of Ateneo Celadon and Shangri-La Plaza. It aims to promote Chinese language and culture in mainstream Philippine society, particularly among young Filipinos, so that they may become bridges between the Philippines and China. Six award-winning films will be featured in the annual Spring Film Festival organized by the Ateneo de Manila University’s Ricardo Leong Center for Chinese Studies at the Shangri-La Plaza from February 13 to 22, 2015. A dying Sifu flees from the Imperial City to a small village. He met a humble farmhouse cook named Tu, who at the request of the dying Sifu, must return a very important Kung Fu Academy Tablet to Sifu's daughter, Moli, in the Imperial City. Never having been to the city, Tu already gets off to a dangerous start - the old master and Moli have gone missing. Tu has no choice but to stay in the Academy to wait for their return. He's bullied from day one for not knowing Kung fu. But serving as a cook there, he picks up some kung fu as days went by. He then meets a mysterious girl (Moli) who identifies herself as Moyan, to protect her safety. Tu doesn't know that this girl is the one he's supposed to pass the tablet to. Moreover, the villain Slash was planning to kill Moli. Will the transfer of powers to Tu be enough to save the Kung Fu Academy? 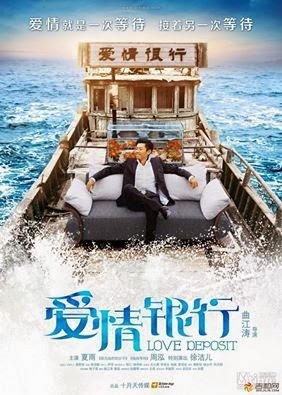 He Muyang (starring Xia Yu) opens a cafe named “Bank of Love”, where lovers can come over to video-tape what they want to say to each other and will be required to store the tapes for a year, without knowing the contents of it. If they break up after a year and do not come back to pick up the recorded tapes, the tapes will then be destroyed and the deposits confiscated. A girl named Yu Xiaoyu (starring Zhou Hong) wants to retrieve the video her boyfriend recorded, to actually figure out what he said in the video. In the process of dealing with the cafe owner, He Muyang, she encounters challenges from him and twist in the story happens. Sunlight on Fingertips is about the lives of parents who work in the urban city, while their children are left in the county. Shi Xiaohe and Shi Xiaoyu are siblings living in the countryside with their grandfather, while their parents work in the city of Shenzhen. Xiaohe instructs his sister to fail her school exams to get their parents back home. They are scolded by their father for doing this and subsequently Xiaoyu falls ill. In order to be reunited with their parents again, they need to compete to be selected to join the "See Your Family" trip organized by the county. These unattended school children are fighting hard to win the Ferry Boat ace in the spirit of "One Boat, One Mind." Zhang Huiling (Zhang Lixian) is a veteran detective in Beijing, where he leads a team specializing in catching pickpockets and scammers. In seven years, Zhang has arrested over 1,600 criminals on the streets. One of his techniques is to use a minicam to record evidence as he follows suspects. One day, after arresting a thief stealing money from a car, he becomes suspicious of the car's owner, Li Wuyi, and follows him, exposing a scam in which children are used to extract money in fake car accidents. While doing so, Zhang hears that a famous thief, Gold-digger Zhang (Zhou Yunpeng) has arrived in town. Zhang Huiling sets out to hunt his most difficult task, which boils down to a battle of wits. Directed by acclaimed filmmaker Wong Kar Wai, The Grandmaster, is an epic action feature inspired by the life and times of the legendary kung fu master, Ip Man. The story spans the tumultuous Republican era that followed the fall of China’s last dynasty, a time of chaos, division and war that was also the golden age of Chinese martial arts. Filmed in a range of stunning locations that include the snow-swept landscapes of Northeast China and the subtropical South, THE GRANDMASTER features virtuoso performances by some of the greatest stars of contemporary Asian cinema, including Tony Leung and Ziyi Zhang. The story begins on a bus, when white-collar worker Ye refuses to give up her seat to a senior citizen. Her defiance is videotaped by a journalist intern and was shown during a news show. The video sparks intense debate on and off the Internet. Some net users searched for Ye's personal information and post it all online. The issue soon brings tremendous changes to the families of both the journalist intern and Ye's work place. 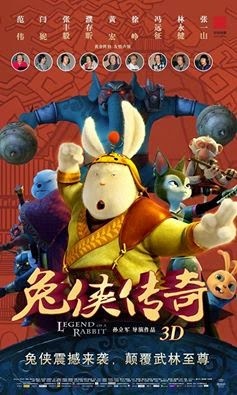 Caught in the Web is directed by Chen Kaige, a leading figure of the fifth generation of Chinese cinema. Sponsors of the 9th Spring Film Festival include: Cultural Division of the Embassy of the People’s Republic of China, Film Development Council of the Philippines, Confucius Institute at the Ateneo de Manila, Celadon, Shangri-La Plaza, Limketkai Center, CATS Motors Inc., COL Financial Group Inc., Anna Pashmina, Richprime Global Inc., Flexo Marketing Corporation, Ms. Rosalind Wee, ChinoyTV, Chinese-Filipino Business Club, Trans World Trading Co., Inc. , International Studies for Chinese Arts, Ateneo de Naga University, Ateneo de Zamboanga University, Xavier University-Ateneo de Cagayan, Ateneo de Davao University, University of San Carlos, Santa Maria Catholic School- Ateneo de Iloilo, Cagayan State University, Siliman University, Kalinga-Apayao State College and Central Luzon State University.